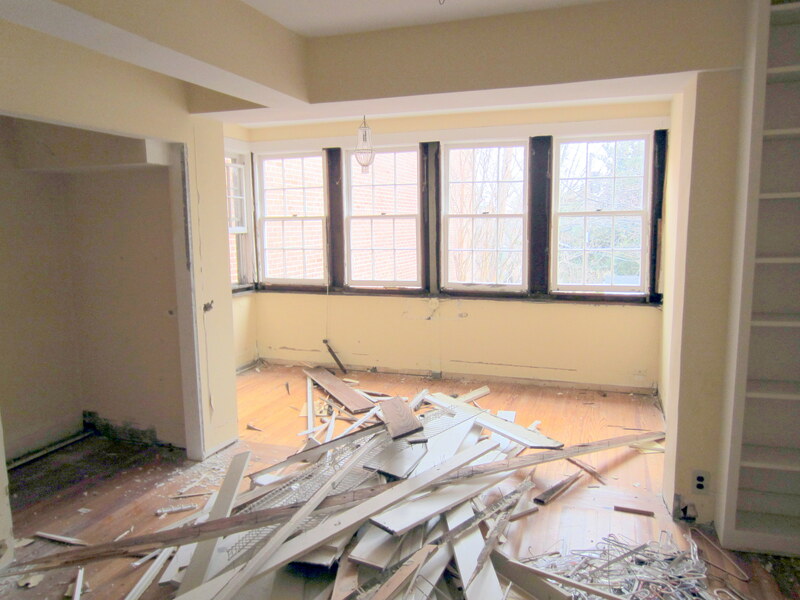 So, on February 9 and 10, the guys ripped apart the master bedroom. 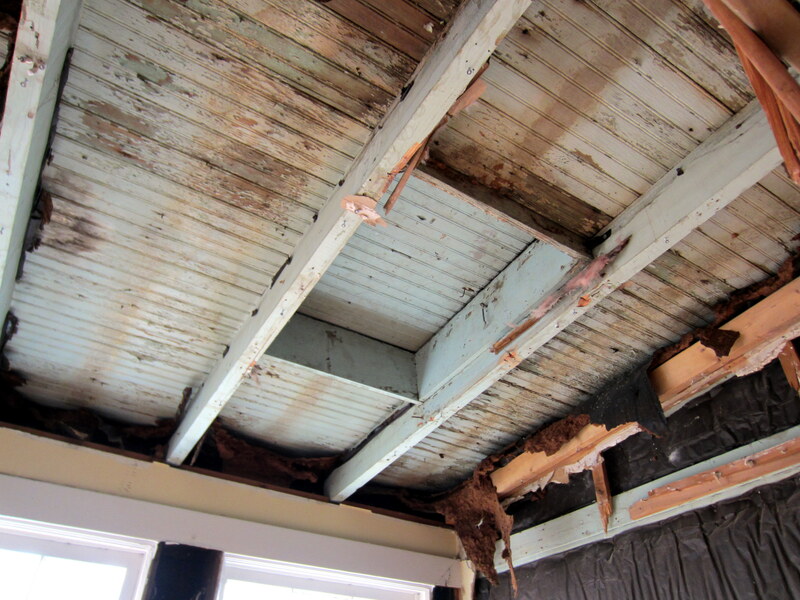 In the process, the original 1925 sleeping porch on the second floor was revealed. There were a few other surprises, as well. The master bedroom before demolition is below. 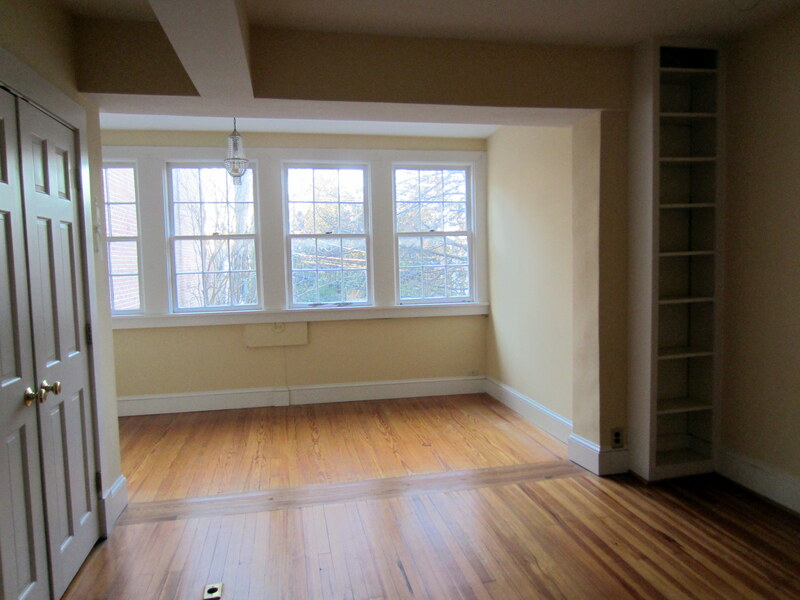 The rear of the original brick house is defined by the dropped area to the left of the built-in bookcase. 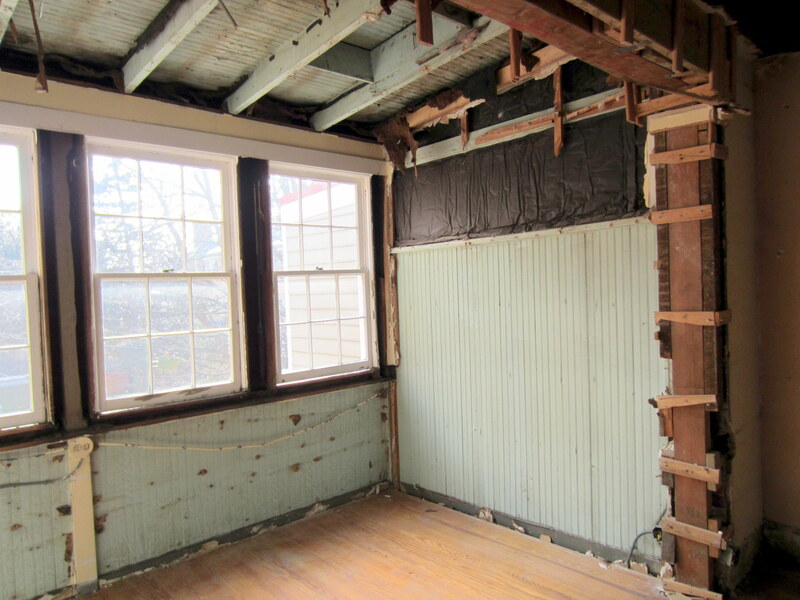 The owner a couple of decades ago had the brick wall between the bedroom and original sleeping porch demolished to create one, larger room. And after. 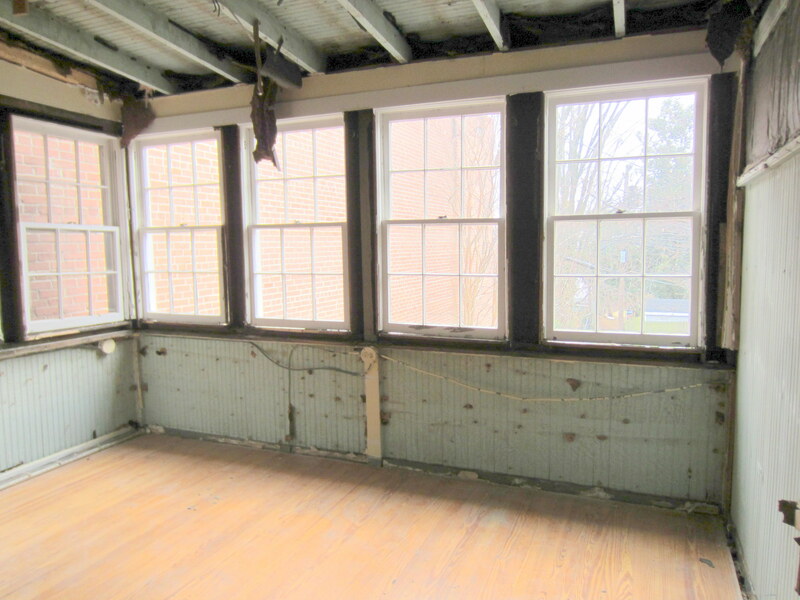 This is the original sleeping porch, with wainscoting walls (in a slightly vomitous sea foam green color). Here’s a closeup of the weights. 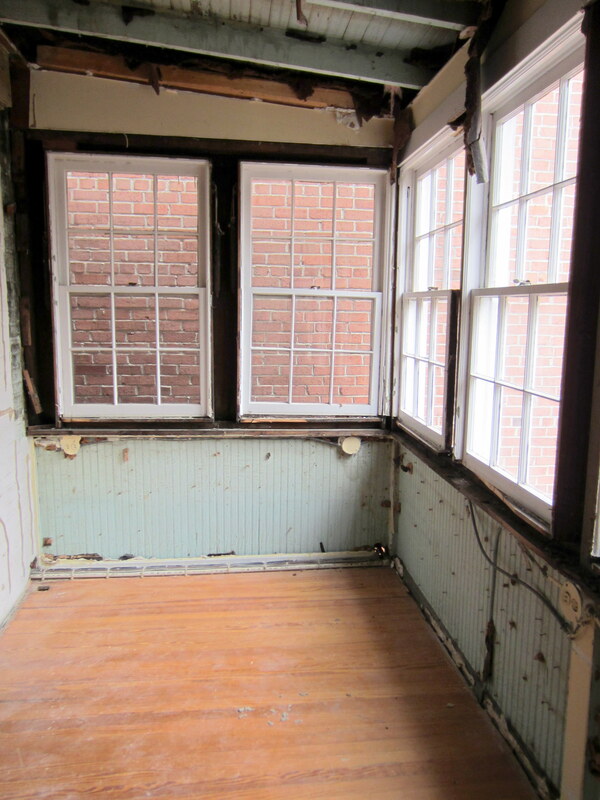 Although the back windows will be replaced, the original front windows with the same system will be kept and refurbished. West side of the original sleeping porch, with a higher wainscoting wall, for some reason (perhaps because this side abutted a neighbor [with an identical house], while the other side did not). The demolition also revealed a trap door to the roof. 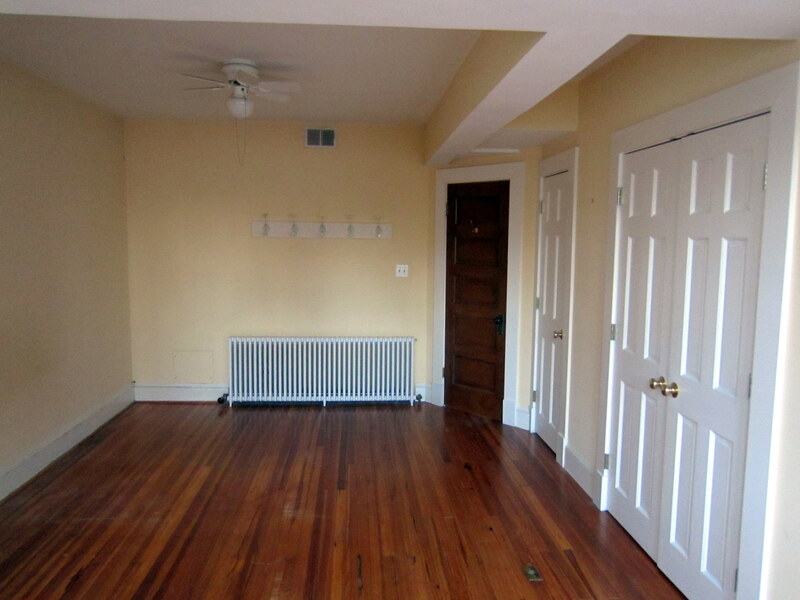 This had been completely drywalled over. We suspected it was there, since one of our neighbors has one, but didn’t know for sure until now. And after. 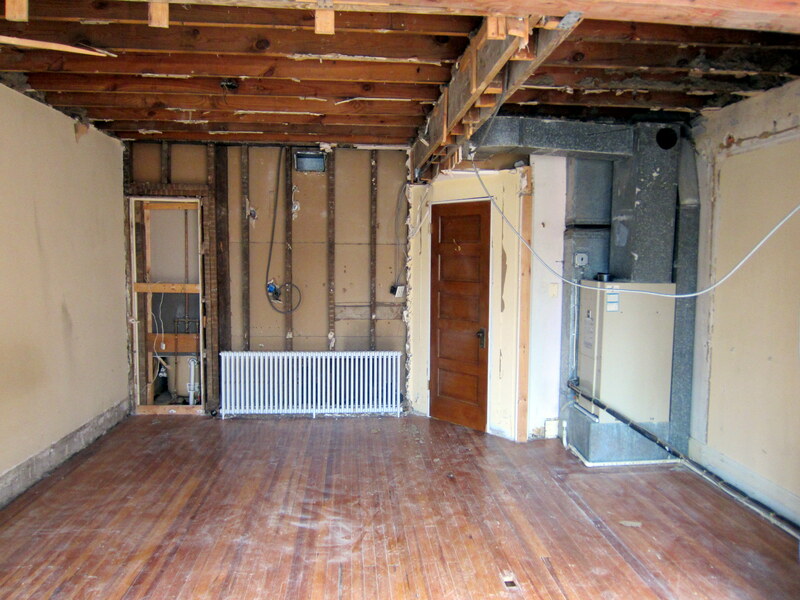 In addition to the ceiling, the walls for the air handler closet and clothes closet have been removed. 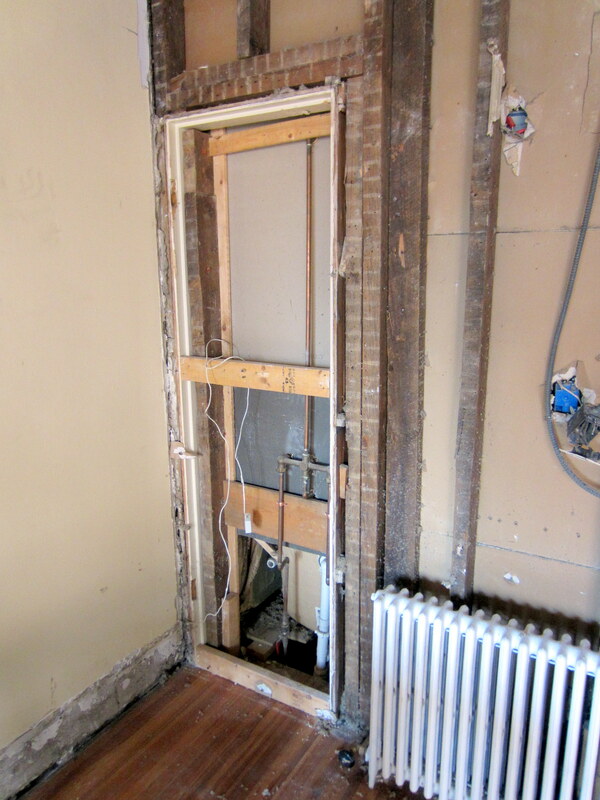 In addition to drywalling over the trap door to the ceiling, the original closet door for this room also had been drywalled over. 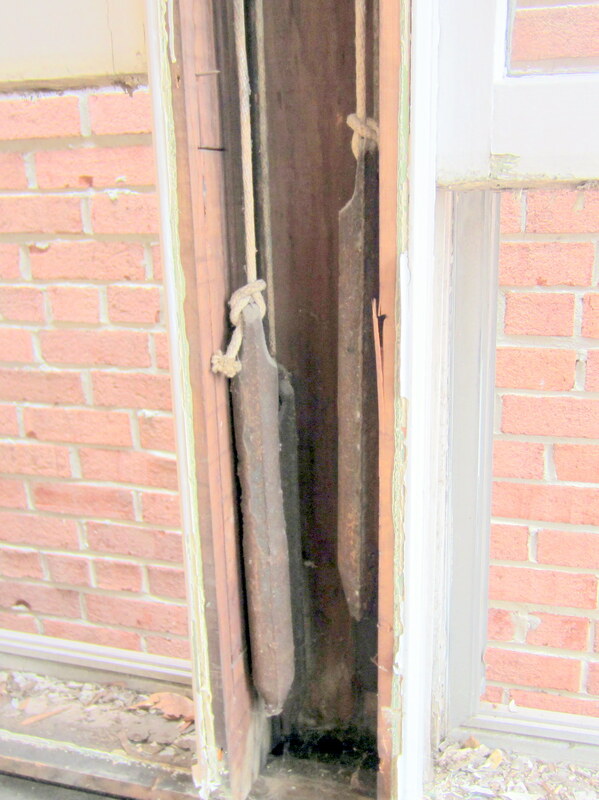 The demolition revealed the original casing. There’s an identical closet door in the guest bedroom to the north, but there, the door remains. Totally Unbelievable. The weight-and-pulley systems is pretty cool, maybe it’s something you can utilize for shoulder rehab!